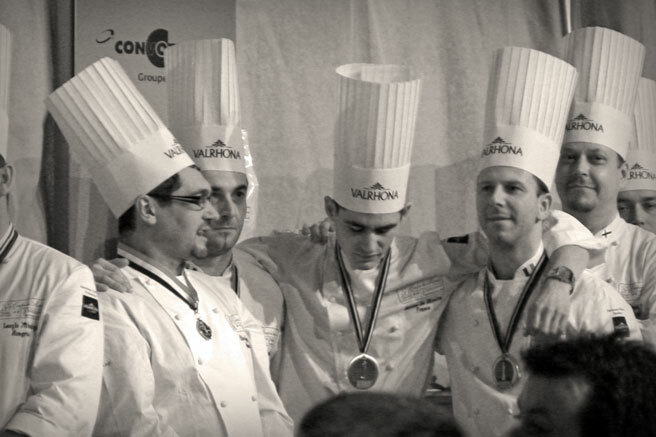 Speaking of traiteurs, Jérôme Languillier, le champion pâtissier on France's team for the World Pastry Cup 2009 is in charge of the pastry side of a simply delectable traiteur located at Les Halles here in Lyon. 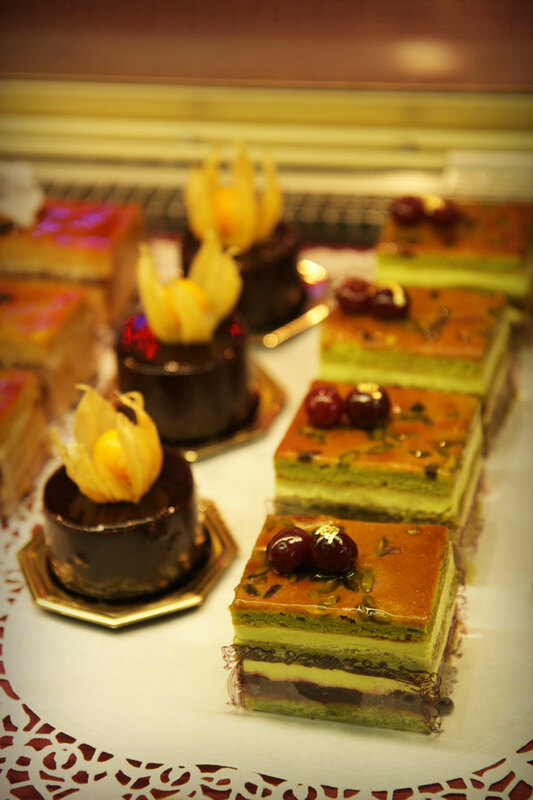 The day before the World Pastry Cup opened this weekend, I had the opportunity to swing by the boutique at les Halles in the 3ème and check out their daily offering to the masses, have a little taste, and soak up some Lyonnais pride also being offered from behind the counter. Jérôme Languillier - Lyonnais pâtissier, Team France. 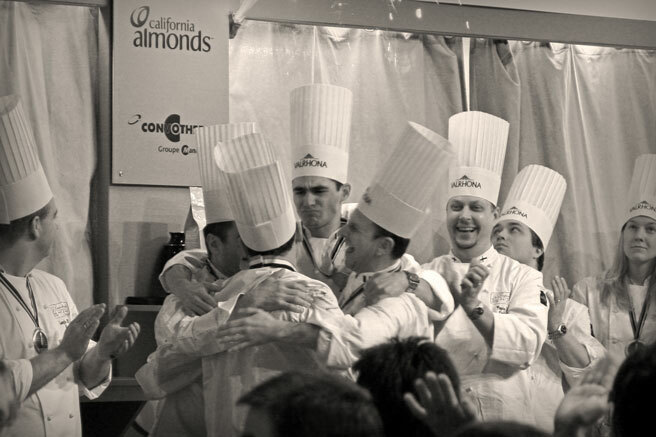 World Pastry Cup 2009. Today is a special day in Lyon. 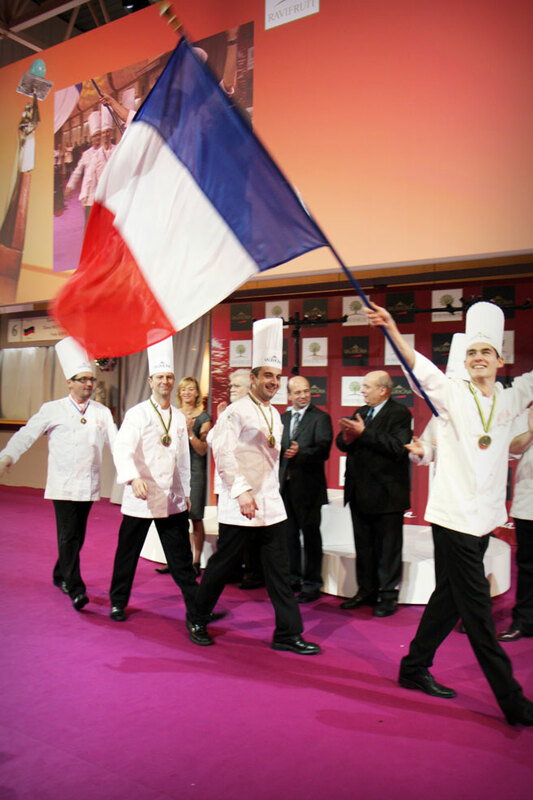 We are beaming with pride for our man Jérôme! What fun! 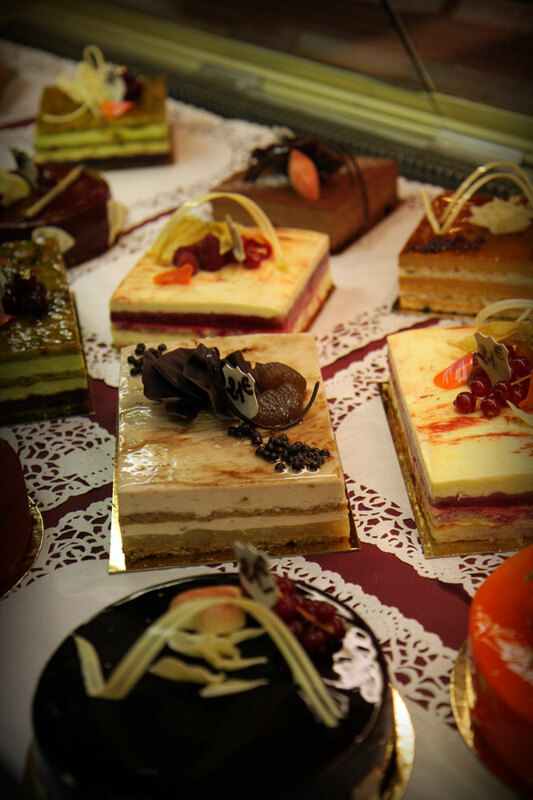 Congrats to your illustrious pastry makers! this is amazing! my boyfriend went to lyon for that competition, but he hasn't sent me photos yet... so i'm just browsing over the internet... This is so exciting! I really like lyon last time i visited! Lucky you to have been there! None of my past or future trips to Lyon involve anything so cool, alas.